Few issues grab more attention on the global stage today than the safety of Pakistan’s nuclear arsenal. The assumption in the West has always been that Pakistan cannot adequately safeguard these weapons and that radical Islamists will grab them, putting Western interests at risk in the region. While the fears may be real, the stories that emerge are often not so real. The unstated assumption was that these attacks were coordinated and aimed to capture nuclear weapons or materials. Gregory is a scholar who is not wont to make claims without clear and verifiable evidence. Only he can clarify what his intent was. Bergen’s position of authority in the world of journalism gave the story a fresh life. Unfortunately, the message published on the AfPak Channel was picked up worldwide with the speed of a brush fire and its assumptions are not supported by the facts about these three attacks. None of them was aimed at getting into or seeking control of nuclear assets. The facility at Wah is a massive ordnance complex that is known to manufacture conventional weapons. It may or may not have nuclear weapons facilities inside its enormous perimeter. Gregory does not offer any evidence on its nuclear activity. The attack of August 21, 2008, on one gate and another explosion in a bazaar near another gate of the Wah facility was acknowledged to the BBC by Pakistani Taliban spokesman Maulvi Umar as retaliation for the deaths of “innocent women and children” in the tribal territory of Bajaur. No mention of any intent to penetrate or capture nukes. The attack of November 1, 2007, on the Pakistan Air Force bus carrying trainees near Sargodha in Central Punjab also was not an attack on a nuclear facility or storage site. It was a lone suicide bomber on a motorcycle who crashed into the bus carrying the airmen. Security experts saw this as retaliation for the air force attacks the previous months in the Mir Ali area of North Waziristan. Again, one may assume that the Sargodha air base might be used for loading or launching airborne nuclear weapons. But there was no indication that this was an attack aimed at the Pakistani nuclear facilities or capabilities. Sargodha lies on the road often used by Sunni Punjabi militant groups traveling to the Afghan border region where they support the Pakistani Taliban, and sometimes al Qaeda, as franchisees. This may well have been their bloody handiwork against a target of opportunity. But there’s no evidence of any attack on nuclear facilities here either. The third attack on Kamra in December 2007 again does not provide any evidence of a plan to penetrate the aeronautical complex where military and civilian aircraft and spare parts are manufactured. The target was a bus carrying more than 30 children of Air Force personnel on their way to a school inside the complex. At least five of them were injured. Kamra produces, among other things, parts for the Boeing 777. There is no evidence offered by Gregory of any nuclear work being conducted at Kamra. The blogosphere has now picked up this story and no doubt it will become part of the hyperbolic record on Pakistan’s nuclear safeguards. Unless it is retracted or clarified by the source: Shaun Gregory. There is no perfect security for any nuclear system. Even the United States cannot account for all its nuclear assets or materials nor stop someone from flying a nuclear armed bomber across the country. But Pakistan appears to be very serious about securing its nuclear assets. Its nuclear safeguards are “robust” according to the International Institute for Strategic Studies of London. Indeed, Gregory too uses the same word to describe Pakistan’s nuclear safeguards. This latest story on Pakistan may be gripping but when not supported by facts; it creates more noise than substance. 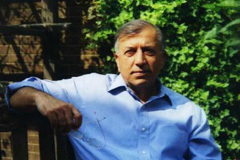 Shuja Nawaz is the director of the Atlantic Council’s South Asia Center. This essay was also published on ForeignPolicy.com’s AfPak Channel.